My first glimpse of Ghostbusters came in the form of a sneak peak on The Mike Walsh Show back in 1984. Those were the days before the internet and illegal online downloads pretty much ruined the prolonged building of suspense that television shows could achieve with cleverly cut excerpts from a feature film. Back in those days, you actually had to leave your house and buy a ticket to be the first on your block to discover what happened next. 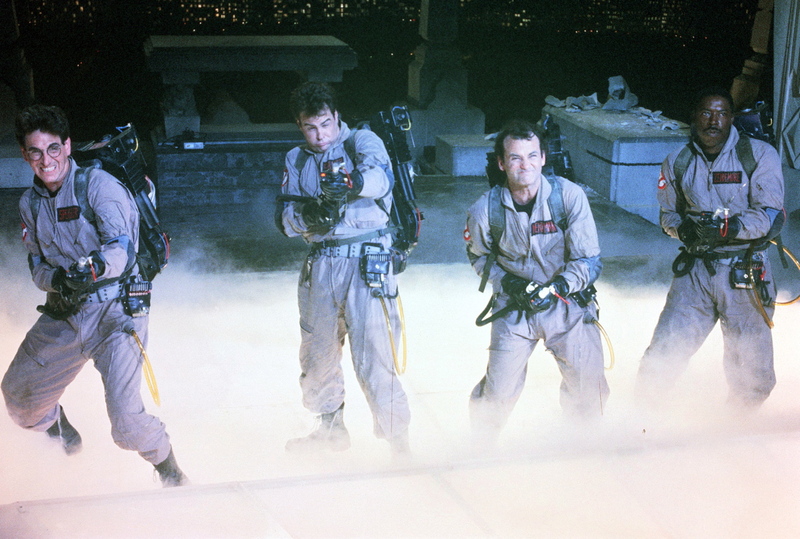 Ghostbusters premiered on television a number of years later and it was no small event, accompanied by a behind-the-scenes documentary about the making of the film. Of course I watched Ghostbusters on the small screen and it was indeed wonderful. It was not until many years later that I experienced Ghostbusters presented on the big screen in its original 35mm format, courtesy of the Astor Theatre, no less. (You shall be happy to know that when its sequel Ghostbusters II hit the big screen in 1989, my brother and I were successful in gaining admission to the cinema). Flash forward to 2011 and the cinematic world is abuzz with news that Ghostbusters III is scheduled for release in the year 2012. Ivan Reitman, director of the first two chapters of the saga, has been confirmed to helm this latest installment. Rumours abound as to who else is on board for this exciting new project, but to speculate any further about this would be pointless. What I can tell you is that the Astor Theatre, Melbourne’s sole-surviving cinema palace, is to screen the original Ghostbusters in 2K Digital format this month. The re-release of this classic 1980s treasure is a global event that shall undoubtedly fuel interest in Ghostbusters III, not to mention introducing a new generation of film-goers to the whole Ghostbusters phenomenon. Without divulging too much to readers who might not have seen Ghostbusters (where have you been? ), the story concerns a trio of university professors, unemployed and desperate, who decide to set up their own ghost-catching business in New York City. 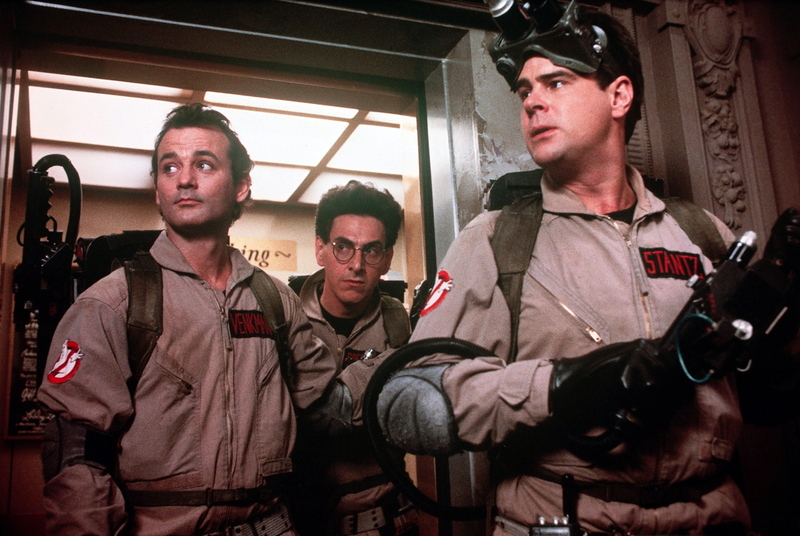 At first business is non-existent, but after a spate of paranormal activity across the Big Apple and success in trapping ghosts, Egon Spengler (Harold Ramis), Peter Venkman (Bill Murray) and Raymond Stantz (Dan Aykroyd) find themselves as not only successful businessmen, they have become genuine celebrities. Three becomes four when Winston Zeddmore (Ernie Hudson) wanders into the Ghostbusters office, and after what might be the greatest job interview in history, picks up a positron glider and joins Egon, Peter and Raymond in clearing otherworldly beings from the metropolis. Dan Aykroyd and Harold Ramis wrote Ghostbusters, and the film benefits from one of the most inventive and quotable scripts committed to film. References to Ghostbusters have worked themselves into everyday vernacular, with many of the best one-liners in the film being delivered by Bill Murray. Apart from the actors who portray the eponymous superheroes, Ghostbusters features Rick Moranis, Sigourney Weaver, plus a host of fantastic phantoms and other assorted creatures that have become pop culture icons in their own right. Speaking of all things iconic, Ghostbusters features one of the most familiar pop music numbers of the 1980s, courtesy of Ray Parker, Jr., as its title song. The tune itself proved to be controversial, as there was some similarity between Ray’s ditty and the earlier song “I Want a New Drug” by Huey Lewis and the News. Accusing the Ghostbusters singer of plagiarism, Huey attempted to sue Ray Parker, Jr., the issue settled ultimately out of court. Numerous other pop songs are featured in the film, such as Magic by Mick Smiley, with the movie’s original score provided by Elmer Bernstein. Quite simply, Ghostbusters is strong in every major department, from the quality of the screenplay to the cinematography by Laszlo Kovacs. From typewriter to celluloid, this is a film that was seemingly blessed every step of the way. The special effects in this movie (including liberal use of stop-motion animation) really have stood the test of time, and it is a credit to the actual human beings featured in this movie that their performances and charm are not overshadowed by the visual trickery on display. Just remember, no matter how many times you have experienced Ghostbusters on the small screen, the film is much better enjoyed at the cinema on the largest screen possible, augmented by superior sound and the whole cinematic atmosphere that only a place such as the Astor Theatre can provide. Please do make certain that you bring yourself and as many people as possible to the Astor this coming weekend for the theatre’s follow up screenings of Ghsotbusters in 2K Digital Format. Given the quality of programming at the Astor, it is no small statement to say that this shall be a continuation of one of the biggest events of the year for the venue, not to mention one of the biggest events on Melbourne’s cinematic calendar for 2011.